Puppies and kittens receive initial protection against infectious diseases from their mother’s milk as long as she has been regularly vaccinated. However this protection only lasts for a few weeks and so your new addition will need to be vaccinated from an early age. Many puppies or kittens will go to their new homes having already received their first vaccinations, but check with their former owner when you adopt them. It is important to get all of the information about their vaccination history including the type of vaccine and who administered them and when. If they have not yet been vaccinated, we recommend that get their first vaccinations done as soon as possible after taking ownership of them. Our team of veterinary professionals will to explain what the best plan for your new pet is based on their past history. Puppies and kittens should be vaccinated at 6 weeks of age and boostered every 3 weeks until after 16 weeks of age. 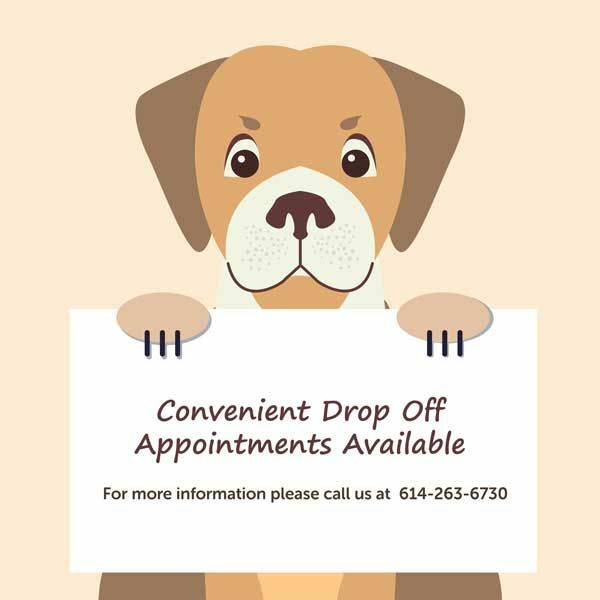 After the puppy or kitten series, adult pets will need to be vaccinated annually beginning 12 months after they finish their puppy or kitten shots. Leptospirosis: A bacteria-based disease usually spread by infected water. It causes fever, lethargy, vomiting, bloody diarrhea and jaundice in your pet. Severe infections can cause organ failure and death. It can be treated by antibiotics but the bacteria can be carried for months afterwards and their urine will remain a health hazard to both other animals and humans. Leptospirosis in humans can be fatal. Canine distemper virus: Spread by bodily fluid contact, there is no specific treatment and dogs with severe symptoms often die. Those who survive commonly have neurological difficulties later in life. Symptoms include fever, coughing, diarrhea and vomiting. Canine parvovirus: Spread by contact with feces from infected dogs, it mainly affects puppies, but can also be seen in dogs that have not had regular booster vaccinations. Symptoms include vomiting and diarrhea and dehydration. Without treatment, 80% of dogs with parvovirus will die. Treatment has an approximately 85% success rate. Bordetella and Canine Influenza: If your dog is going to spending time boarding, grooming, doggie daycare or in dog parks, we recommend that they be vaccinated against kennel cough, which is a combination of parainfluenza virus and bordetella bronchiseptica. We also recommend that your dog be vaccinated with a vaccine the prevents the two most common strains of Canine Influenza. Rabies: The state of Ohio requires that all dogs receive a vaccination to prevent Rabies. Rabies is considered a zoonotic disease which means that it can be transmitted to humans from an infected animal. Many species including cats, dogs, humans and many wild animals can carry and be infected by the rabies virus so it is important that all domestic animals be vaccinated for their own safety and the safety of their owners. Dogs who have never received or do not have proof of past vaccination against this disease will need to receive a vaccine that is only good for 1 year. After the initial vaccination, your dog can be boostered to receive the rabies vaccination that will last for 3 years. Lyme: Lyme disease is transmitted to the dog through the bite of a tick that is carrying the Borrelia burgdorferi organism. Most common symptoms are severe joint pain and occasionally fever. Some dogs harbor the organism for a long time and may or may not show symptoms, however, it is important to know if your dog has been infected with this organism which is why we routinely test for this disease and other tick-bourne diseases in dogs. Mild cases of Canine Lyme Disease can be treated with a course of antibiotics, but occasionally there are more severe cases where severe kidney damage and even death have occured. Central Ohio is becoming more and more infested with ticks and the Lyme and other tick-bourne disease populations are growing. Luckily, between topical or oral treatment to prevent ticks on your dog as well as a Lyme vaccine annually, your pet can stay safe from this painful disease. See the map of the 2017 Canine Lyme Disease cases reported in Ohio through the Companion Animal Parasite Council. Feline calicivirus: Commonly called ‘cat flu’ as its symptoms include sneezing, fever, discharge from the nose and eyes, and mouth ulcers. Spreads via cat to cat contact, airborne contact or contamination of the living environment. Vaccination prevents some strains but not all. Feline herpes virus: Spread by the saliva or discharge from the nose and eyes in infected cats, it can also survive in its environment. Like feline calicivirus, it is a type of ‘cat flu’ as its symptoms include fever, sneezing, conjunctivitis and discharge from the eyes. Once a cat has had feline herpes it is infected for life and may suffer recurrent flare-ups that are treated with antibiotics and eye drops. 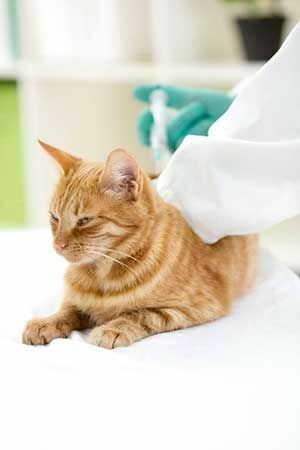 Feline infectious enteritis: Spread by the feces and urine of infected cats, this virus attacks their immune system leaving the animal unable to fight infection. Pregnant cats can transmit the disease to their kittens while they are in the womb. Symptoms include fever, seizures, vomiting, diarrhea and dehydration. Feline Leukemia Virus: We recommend that all kittens or cats with an unknown history be tested for the feline leukemia virus and if they do not have the disease, they should be vaccinated to prevent this disease. After the initial vaccination and booster, the doctor will determine the risk factors for your individual cat to determine if they should be vaccinated against this disease in the future. This disease is thought to require very close contact of infected cats to be spread, such as milk from mother to kitten or bite wounds. Much more common in city areas, and among un-neutered and stray cats. Multi-cat households also present a higher risk. The symptoms include poor body condition and coat, anorexia, diarrhea and jaundice. The virus attacks the bone marrow which results in leukemia and sometimes lymphoma. Rabies: The state of Ohio requires that all dogs receive a vaccination to prevent Rabies. Rabies is considered a zoonotic disease which means that it can be transmitted to humans from an infected animal. Many species including cats, dogs, humans and many wild animals can carry and be infected by the rabies virus so it is important that all domestic animals be vaccinated for their own safety and the safety of their owners.